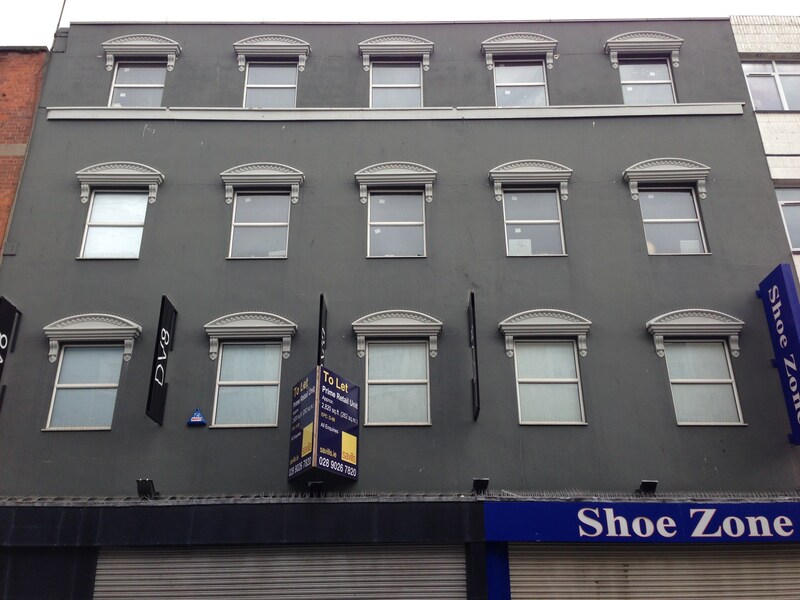 A four storey building built c1972 and occupied by Eason & Son Ltd until the store closed on Saturday 19th April 2003. 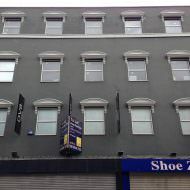 Glenbeigh Ltd (a company linked to the DV8 fashion group) submitted a planning application (Z/2003/1764/F) in July 2003 proposing to sub-divide the vacant ground floor into two retail units and alter the facade of the building. 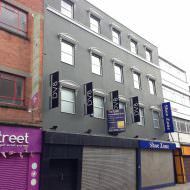 The application was approved in September 2003 and works commenced to sub-divide the ground floor and remodel the building facade. Fashion retailer G-Star Raw operated at nos.16 – 18 from November 2011 until closing on 1st November 2015. 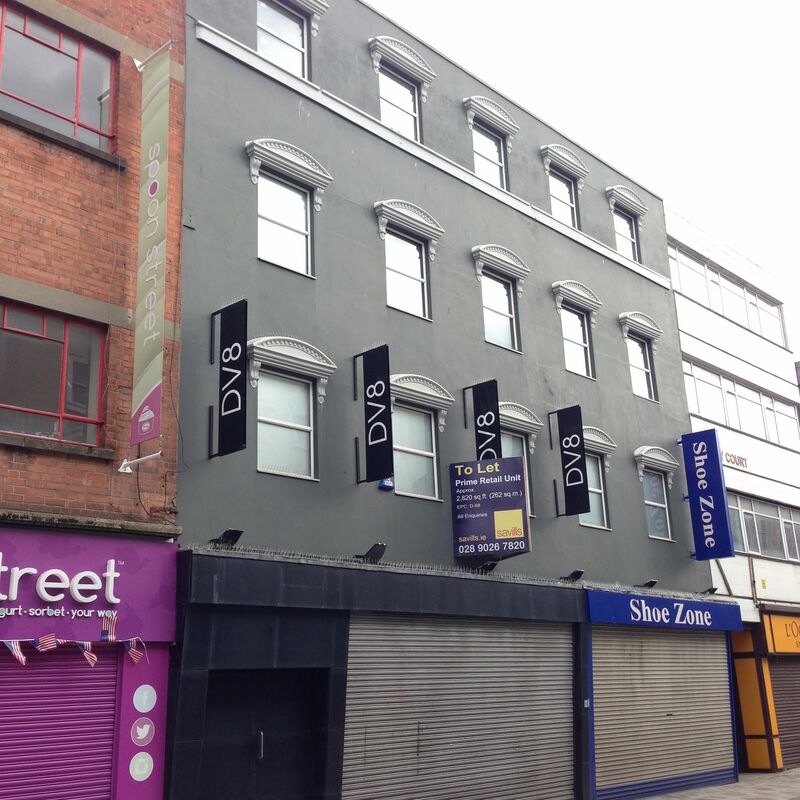 Fashion retailer DV8 opened within the unit later in November 2015. Nos. 20 – 22 is occupied by footwear retailer Shoe Zone.